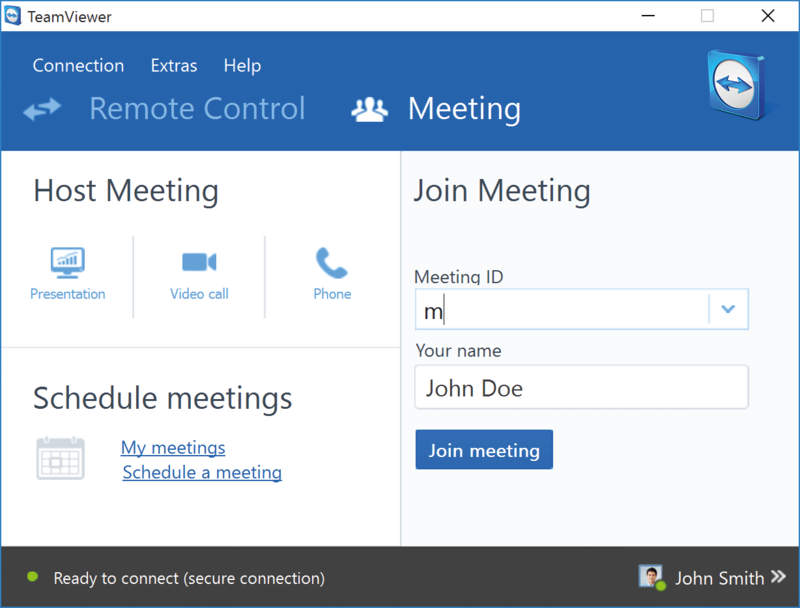 Tampa, Fla., November 03, 2015 – TeamViewer®, the global pioneer of remote control and online collaboration software, today announced the 11th version of its flagship software. TeamViewer addresses the need for increased functionalities for mobile working and support for the trend of “bring your own device”. TeamViewer 11 provides users with a smart solution, which can be seamlessly integrated into their business environment, for a consistent and efficient user-experience. TeamViewer 11 also comes with a variety of “firsts and easiests” - including unattended access to Android devices, support for Chrome OS and headless Linux servers. The wide array of features in TeamViewer 11 combine speed, with quality and efficiency, to give users a faster and optimized remote support experience with up to 30% less data usage rates, and file transfer now up to 15 times faster than before. An utterly revamped tool bar and a massive performance boost round off TeamViewer 11 to make it the first choice when it comes to connecting users to the people and to devices that matter to them. Unattended access to Android devices – TeamViewer is the first vendor in the market to provide easy and uncomplicated access to unattended Android devices. The significance of Android goes beyond smartphones and tablets. There are increasingly many devices, which rely on Android; such as point of sales (POS), ATMs, public displays, and vending machines. Unattended access is vital for companies maintaining these devices, because no staff has to be present to confirm the incoming connection. That makes the support of these devices tremendously easy, as qualified staff cannot always be close to faulty machines. At the same time, key security concerns such as data protection and privacy are guaranteed because the unattended access option will have to be granted initially by authorized staff. 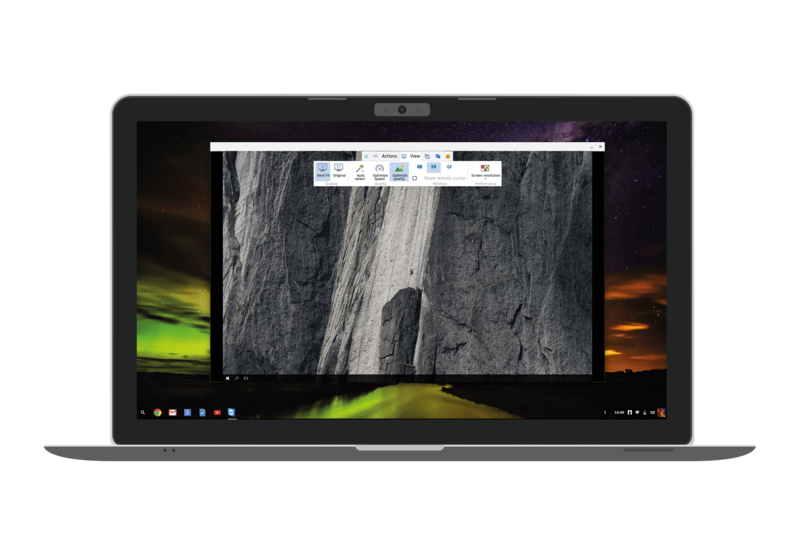 First professional remote support solution for Chrome OS – Extending its far-reaching list of supported platforms, TeamViewer 11 is the first remote control solution to run on Chrome OS by Google. Users can now access their office or home computer or provide remote support via their Chromebook. Easiest access to headless Linux systems – By simply connecting to the text console, TeamViewer 11 can now be used to provide support for Linux servers without monitor, keyboard, or mouse. This means a major improvement for supporters as they do not have to worry about setting up port forwarding, configuring SSH (secure shell), or having to install a graphics card. TeamViewer makes the connection to headless Linux servers as easy as no other software maker in the market. Multiple platform usability – TeamViewer can be used from a plethora of platforms and operating systems. It is designed to run on a multitude of operating systems – including the latest versions such as iOS 9, Android Marshmallow, Windows 10 and OS X El Capitan – and still fully supports older operating systems such as Windows XP and Windows Server 2003. 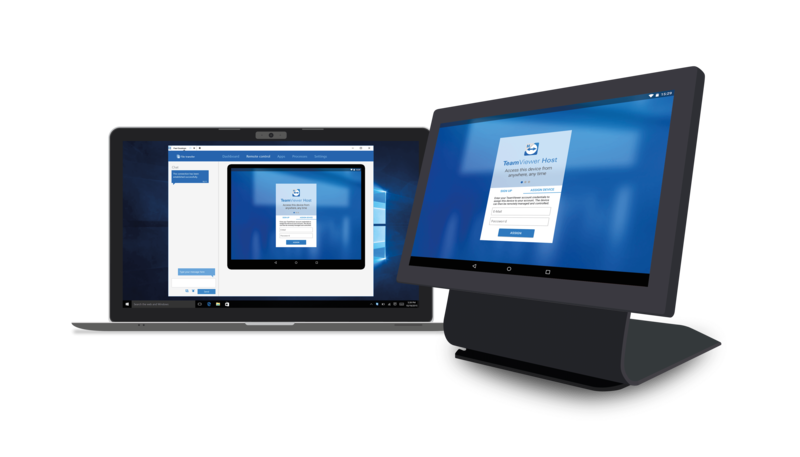 Need for more mobility and BYOD reflected – TeamViewer 11 addresses the need for more mobility by providing a new Android Host App which enables connections to a whole new set of Android devices. Additionally, the TeamViewer chat will now be available for iOS and Android devices so that chatting is possible from virtually anywhere. The new mobile TeamViewer chat also comes with such important features as chat history and end-to-end encryption. 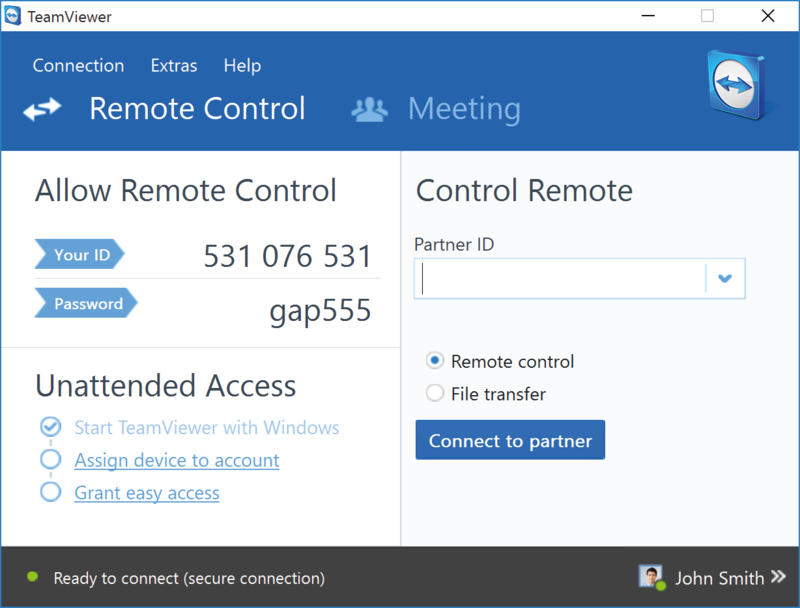 Browser-based TeamViewer - TeamViewer 11 allows for browser based remote support or remote access. 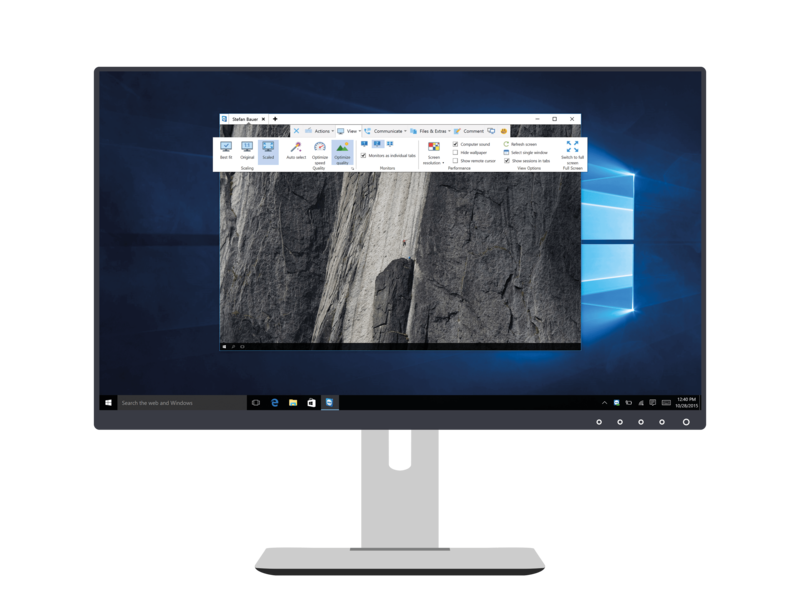 This provides a convenient alternative if users lack administrative rights to install TeamViewer but still need to connect to a remote device to provide support or work collaboratively on a project. The QuickSupport SOS button – With the customizable QuickSupport SOS button in TeamViewer 11, it is now easier for customers to contact their supporters with just a simple click. The quickly accessible SOS button serves as a shortcut on the desktop of customers and is linked to the custom QuickSupport module. Many other features are available in TeamViewer 11. A detailed description of all features is available at: https://www.teamviewer.com/version11. TeamViewer 11 Beta is available immediately for Windows, Mac, Linux, mobile and Chrome OS devices. The described feature set may vary depending on the operating system. Additional information and a download option are available at www.teamviewer.com/version11. For professional use, TeamViewer offers different licenses tailored to meet the specific needs of companies, no matter their size. More information can be found at: www.teamviewer.com/pricing/. As always, for personal use in a non-commercial environment, TeamViewer software is free of charge.